If you have worked on a project in Django, you have undoubtedly discovered that ‘syncdb’ is great at turning your ‘models.py’ files into real database tables but not so great at taking your modified models and altering your database with the new definitions. In fact, the Django documentation is pretty clear about this: “Syncdb will not alter existing tables”. South is a Django project which solves this problem by providing “consistent, easy-to-use, database-agnostic migrations for Django applications.” Below are the most basic steps for getting South up and running in your project. That’s it, the very bare bones steps to getting up and running with South. Obviously you’ll either need to run these commands in the same directory as ‘manage.py’ or change the commands to point to it. If you want to be able to run this shell function anywhere, put the full path to your project’s ‘manage.py’ file in the function body. Otherwise, you’ll have to run it in the same directory as the relevant ‘manage.py’. For South’s more advanced goodness, check out the documentation. Thank you for this! I think the documentation is somewhat vague on this subject. Nice to see it explained so easy. A few months ago the documentation of South was ugly, but then it was refactored and now it’s pretty simple and understandable – http://south.aeracode.org/docs/. It has also enough amount of examples, so there isn’t real need to explain how to work with South on other sources. 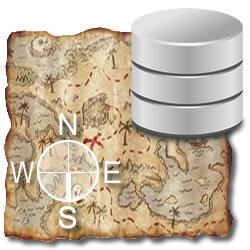 I’ve been hesitant to try South, preferring instead to write my own SQL scripts for migration. Thanks for making the water seem less intimidating. I’m going to give it a go at work. Those should be two hyphens preceding the “initial” switch, not two dashes. A dash is longer than a hyphen. There’s no dash in ASCII, so traditionally, the dash is represented by two hyphens. See the documentation for Python’s getopt module for more about command line argument processing in Python. thanks mitch. really the docs were not clear on the steps. I had given up till i saw your post. You have some good tips here, specific but usable. Any chance you can do a write up on how to use the multiple sites management in django? Probably just a editor auto correct, but ‘auto’ and ‘initial’ arguments should contain two dashes, not one; e.g. run ‘python manage.py schemamigration myapp –auto. I believe it’s ok to rerun it though, in case you are using a release system, like fabric, and don’t want to special case the initial syncdb. ./manage.py migrate will effectively a syncdb for you to pickup DB state for apps in your settings.py that are *NOT* South managed. So, you indeed never need to run syncdb again. But, you can. Thanks for putting this up. I found it incredibly clear and helpful – I’m new to Django, and so far I don’t quite understand why South isn’t considered an integral part! I’m very happy to have gotten this working, with your help. Thanks for writing this article! Very easy to follow, just tried it on a Django app I’m working on.